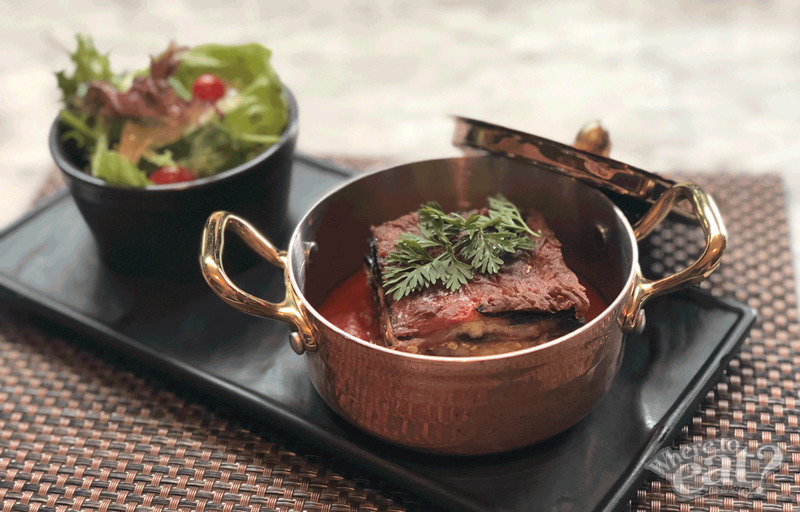 Starting this October, Grand Copthorne Waterfront’s Grissini marks its new Italian Head Chef with a refreshing thoroughly-crafted menu that sees its all-time favourite dishes in a new light! Head Chef of Grissini, Mirko Vinci, has over 15 years of culinary experience and worked alongside great Michelin-starred chefs in Milan, London and Singapore. This time, a special 6-course Italian omakase meal awaits us at Grissini! 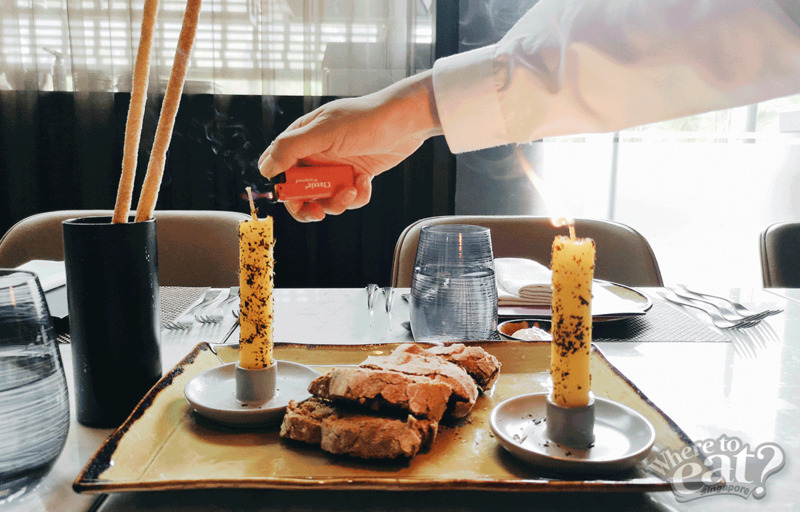 Served before a dinner meal at Grissini, the Edible handmade butter candle served with dark rye bread is the first snack that we embarked on before our 6-course omakase meal. The edible candle, is in fact, made of butter and herbs. 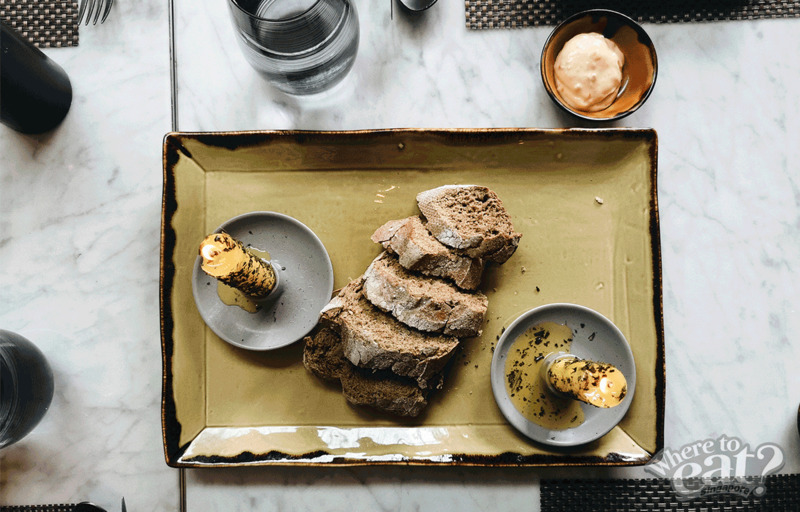 Instead of the usual practice of slabbing a chunk of butter onto the bread, we see an innovative idea of a lighted edible candle with warm buttery thyme goodness trickling down onto the base of the plate. We are not much of a bread person, but this certainly got us reaching out for another slice and coating the lightly toasted Dark Rye Bread with the rich melted butter (and of course, our phones to capture the insta-worthy melting process). Ah, if you are not a fan of thyme, however, this might come across as a little overwhelming. Dumplings in an Italian restaurant? 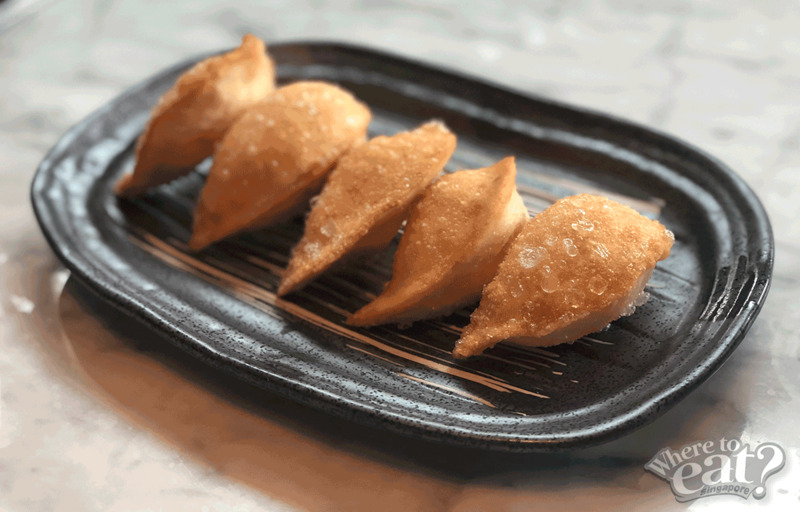 It looks very much like the typical Chinese dumplings that we often consume, except that the Panzerotto pugliese is an Italian version (native to Chef Mirko Vinci’s hometown, Puglia, in Southern Italy) that contains mozzarella cheese, tomatoes and herbs! Served piping hot, the entrée’s pizza dough skin has a light crisp to it that brings a great crunch, with a warn flavourful cheesy goodness oozing out from the first bite. What an inviting starter! From the sweetness of the scallops, charred bitterness from the asparagus, chewiness of the grilled octopus, freshness of prawns and subtle lime dressing, we had purposeful yet delicate flavours and textures dancing amongst our taste buds in the Grilled Mediterranean seafood salad, green asparagus and olives, lime dressing. 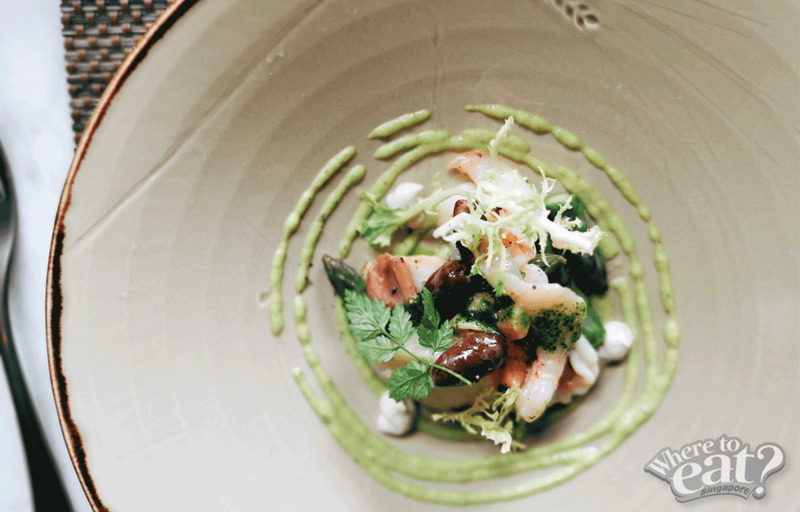 In this cold starter, its playfulness of flavours showcases the youth of 29-year-old Head Chef Mirko Vinci. Feeling adventurous? Go for this. By the time it came to the Tagliolini, white onions, butter and sage sauce, shaved fresh black truffle, our stomachs were almost 70% full (does this tell us that we should probably stop?). 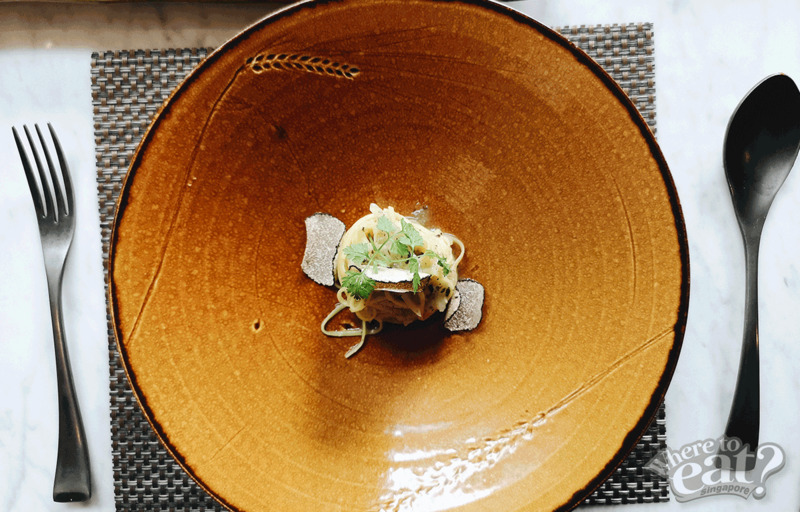 Never mind the fullness, because the intricate presentation lives up to the taste, with the artful sage sauce, butter and truffle complimenting the taglioni. No creamines, just a deliciously sprightly dish that prepares your stomach for the main course. We thought the tagliolini could be a little more al-dente (depending your on personal preference) though! Veal, you say? Maybe would categorise this as beef, but it actually comes from the calves instead of the beef from older cattle that we usually eat. In general, veal is more expensive than beef. We expected it to be similar to a typical beef cut, and hence had quite a bit of surprise when we were served with white meat that looked very much like pork chop or chicken breast. The tender veal meat tasted nothing like beef and very much like pork chop instead, except that it was very much more tender and moist. 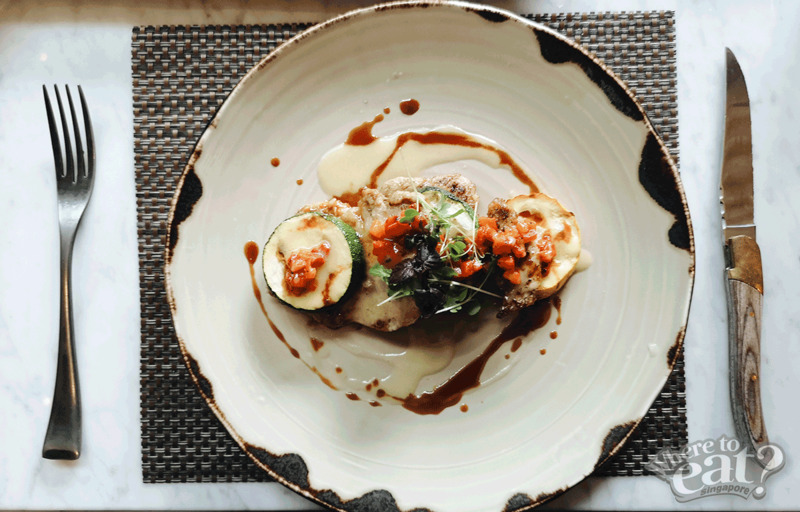 We enjoyed the sourness of the lemon sauce as it added tanginess that jazzes up the overall flavour of the Veal Scaloppine, char-grilled zucchini, red capscicum tapenade, lemon sauce. Expect no exploding lava. The top (and “cracked”) part sees a crispier and dry texture, with a moist, rich chocolatey center-part in the middle. First bite? A rich and warm chocolatey flavour. Second swallow? A tinge of sea salt that triggers your brain to have another bite. It is a dessert that is so simple, yet brings out exciting wholesome flavours out of the traditional ones. We, especially, loved the “cracked” pieces for its crunch. 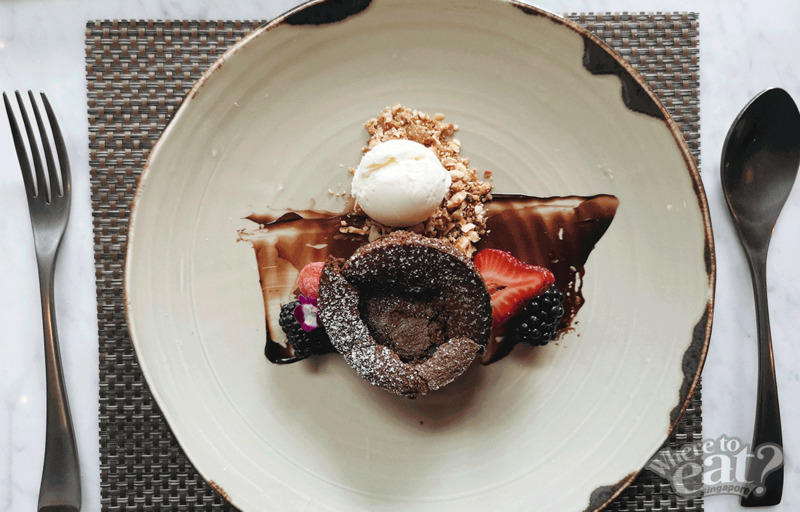 We’ll rate the Chocolate lava cake with sea salt and coffee, hazelnut crumble, berries, vanilla ice cream 5-stars. This 6-course Italian omakase meal is special off the menu, but we suggest you try Grissini’s new curated menu and be in for a range of delicacies too! For reservations, please call 6233 1100, email dining.gcw@millenniumhotels.com or visit www.celebrateatgcw.com/grissini.